Tours are booked in advance and cost an attractive £19 per person, they run twice a day and they keep the groups small to allow the best interaction, our group consisted of only 8 people. 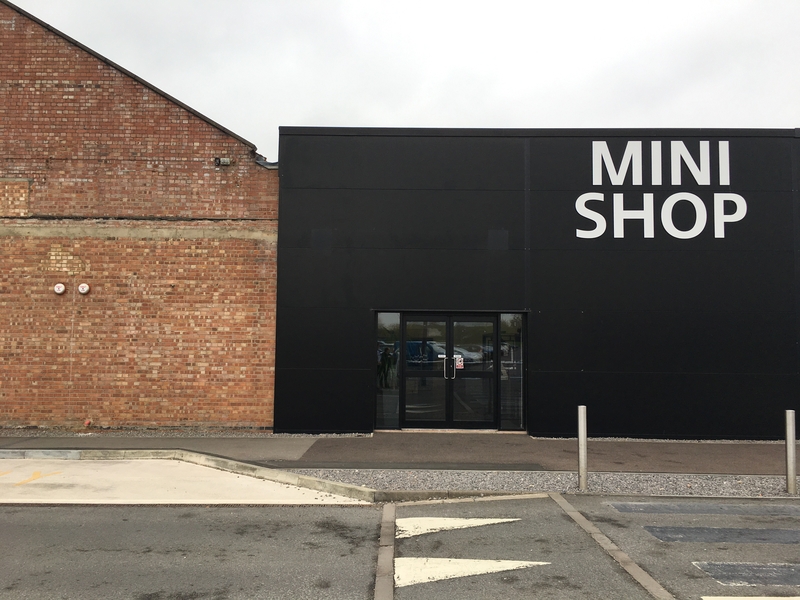 Upon arrival at the plant you are free to browse the shop and information centre, here you can learn all about the history of Mini, the evolution of the brand, and see different models through the ages. Once you’ve finished you can head over to your tour group, plug in some headphones, put on an attractive overall and head off to the first factory ‘Body and White’. 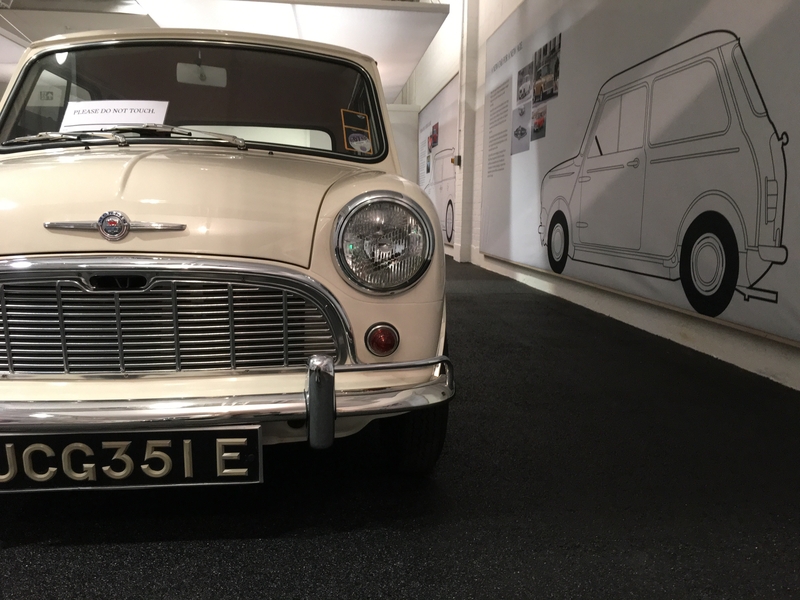 Body and White is where the journey of a Mini begins. 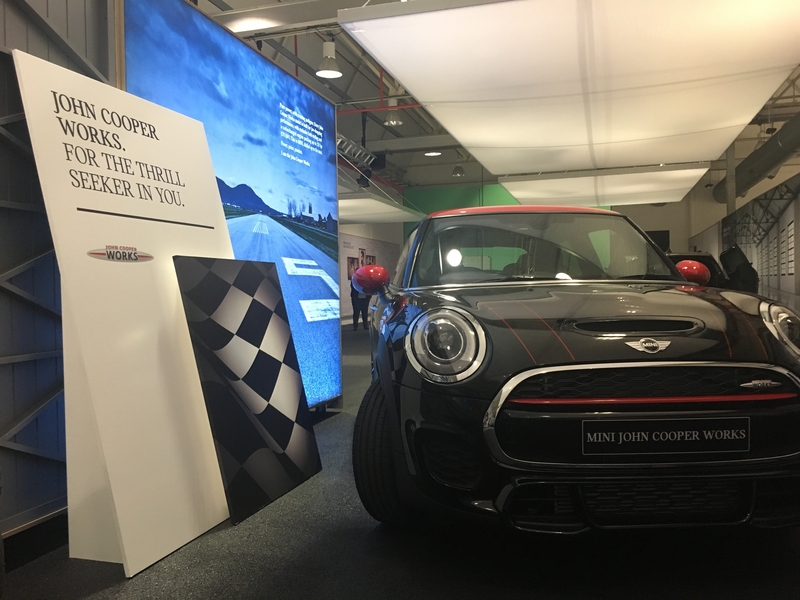 Parts are assembled by hundreds of robots and you are able to identify the three different Mini’s that are manufactured at the plant. We spent a full hour walking around the factory floor and watching both machine and technician assemble a collection of cars. The second part of the tour took us to the Mini assembly room, here Mini’s have been through the paint shop and are being personalised to suit the order (no mini is produced without an customer from the dealership), again you spend at least an hour perusing the processes, from installation of engines to fittings of interiors, you really do see it all! Here the plant is busy with people, still heavily focused on robot’s, but you’ll see so many more technicians operating the machinery. 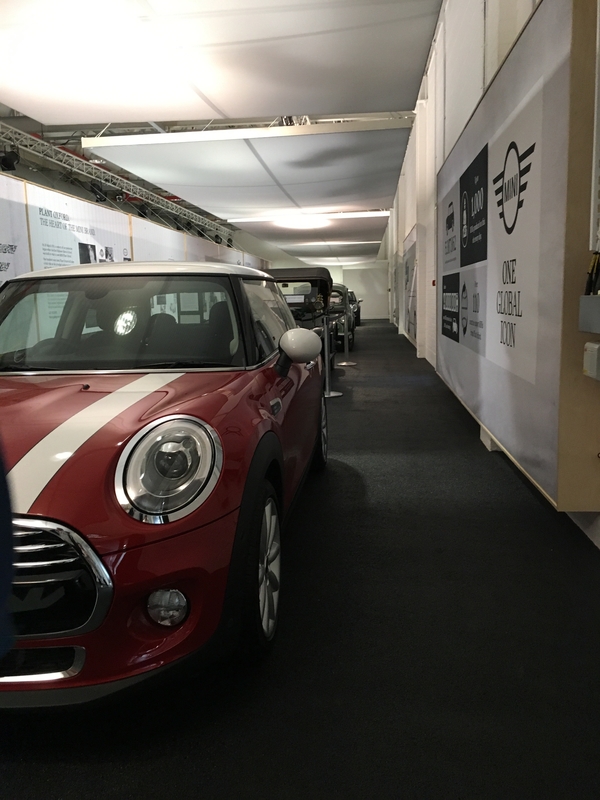 Each car is fitted with a tracker so at each stage of the manufacturing process the machines can read the customer requirements to ensure cars are built to specification. If your planning to visit the plant tour I’d recommend setting aside a 3 hour slot, tour guides don’t rush the process and it really is fantastic value for money. Please remember this is a working factory so wear appropriate clothing.